Rumbling to a thundering success! A huge thank you to all who helped at our Rumble in the Jumble on Saturday. We made massive £1,649.32! The final figure will be even higher after some late sales and donations are counted. A great result! 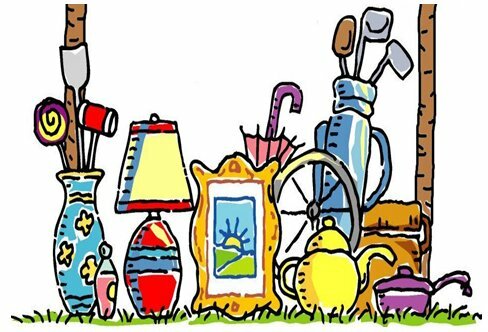 Thank you to all those who donated such great items for sale including a roof box; some beautiful furniture; an electric Zeiss microscope; vintage cameras and a plethora of excellent gardening and fishing gear, not forgetting toys, clothes and an excellent selection of books. A very big thank you to all those who helped on the day serving up delicious teas and lunches; running the tombola and caption contest and those who manned the stalls. Thanks also to those who took tables and to everyone who came along and supported the event. It came at the end of a week when Knockskae was rejected by both the Council’s Planning Department and the Regulatory Planning Committee. All in all a good week for Straiton and the surrounding area. Local people fought for it to be refused, the Planning Department recommended refusal and the Regulatory Planning Committee met today and unanimously refused it. Henry Anderson, Chair of the Community Council was first up, stressing that the overwhelming view of the local community was against this development. Next Glen Heggs, Vice Chair of Save Straiton for Scotland, spoke about the site selection and impact on homes followed by Jeanette Heggs who spoke about the value of the conservation villages. Gordon Ferrie and Bea Holden talked about Straiton’s historical features and the impact on the economy respectively. Whirly Marshall explained eloquently how the development contravened the Wind Capacity Study and the Local Development Plan. Eoghan Baird spoke about the impacts of Shadow Flicker on homes and Colin Nisbet raised deep concerns over contamination of water supplies. Sandy Millar pointed out serious deficiencies in the noise assessments. Barbara Anderson, Isla Cruickshanks and Christine Millar, who all live close to the proposed development, spoke passionately about how this would impact upon their lives if built, and how even the planning application has cast a shadow over their lives. Finally former Chair, Bill Stevens, told the packed chamber how the people did not support the proposal. Including our petition, over 3,000 people have objected. All the Councillors agreed the Carrick area has reached saturation point for wind farms, one stating “enough is enough”. The beautiful Girvan valley would be completely disfigured by turbines as the wireframe illustration shows. Please come along to support us at the Planning Meeting and show the Panel you care about our village and our community. Several residents of Straiton will be speaking about their concerns over the pollution of private water supplies, shadow flicker, noise disturbance and the destruction of the peaceful, natural setting of our conservation villages. By attending, your support will be greatly appreciated and will make a difference. The meeting is from 10am – 12 noon on Wednesday 19 April in Country Buildings, Ayr. Contact us if you require a lift, or if you can offer space in your car. Leave a comment below, your details will not be shown. We look forward to seeing you on the 19th. Vintage, Collectables, Crafts, Retro, Jumble, delicious home baking and teas or you can try your luck in the tombola. There’s something for everyone at our fundraising event in Straiton.